Ooma has released financial results for the first quarter fiscal 2019 ended April 30, 2018. Revenue: Total revenue was $30.2 million, up 10 percent year-over-year. Subscription and services revenue increased to $27.3 million and was 90 percent of total revenue, driven by 20 percent year-over-year growth in business and residential subscription and services revenue. Net Loss: GAAP net loss was $3.7 million, or $0.19 per basic and diluted share, compared to GAAP net loss of $3.4 million, or $0.19 per basic and diluted share, in the first quarter fiscal 2018. Non-GAAP net loss was $0.8 million, or $0.04 per basic and diluted share, compared to non-GAAP net loss of $0.3 million, or $0.02 per basic and diluted share, in the prior year period. Adjusted EBITDA: Adjusted EBITDA was ($0.5) million compared to $0.1 million in the prior year period. Total revenue in the range of $30.5 million to $31.3 million. GAAP net loss in the range of $3.8 million to $4.3 million and GAAP net loss per share in the range of $0.19 to $0.22. Non-GAAP net loss in the range of $0.8 million to $1.3 million and non-GAAP net loss per share in the range of $0.04 to $0.07. Total revenue in the range of $124.5 million to $127.0 million. GAAP net loss in the range of $14.2 million to $16.7 million, and GAAP net loss per share in the range of $0.72 to $0.84. Non-GAAP net loss in the range of $2.5 million to $4.5 million, and non-GAAP net loss per share in the range of $0.13 to $0.23. 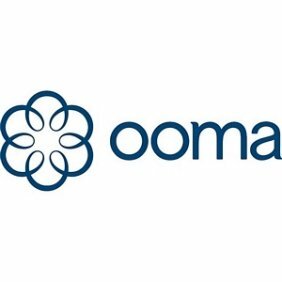 Ooma held a conference call and live webcast for analysts and investors on May 22. 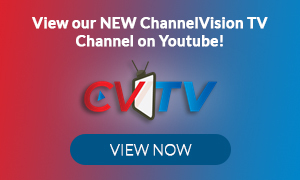 The webcast will be accessible on Ooma’s investor relations website for a period of one year. A replay of the conference call will also be available through Tuesday, May 29, 2018. To access the replay, parties in the United States and Canada should call +1 (800) 585-8367 and use conference ID 7132779. International parties should call +1 (416) 621-4642 and enter conference ID 7132779.